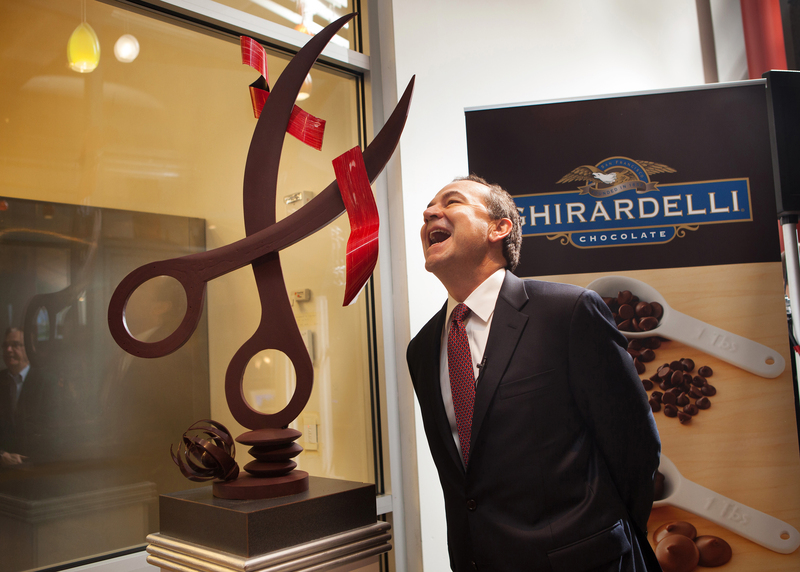 St. Helena, CA – The Ghirardelli Chocolate Company, maker of premium chocolate products, has joined with The Culinary Institute of America (CIA) to open the Ghirardelli Chocolate Discovery Center. 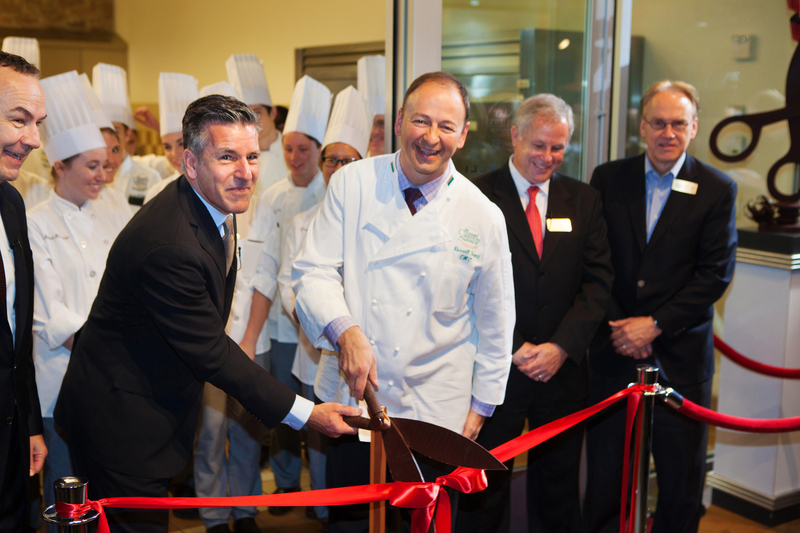 The facility, located at the college's Greystone campus in St. Helena, CA, was dedicated yesterday, March 4, with an unveiling and ribbon cutting—with a ribbon cutting using giant chocolate scissors. 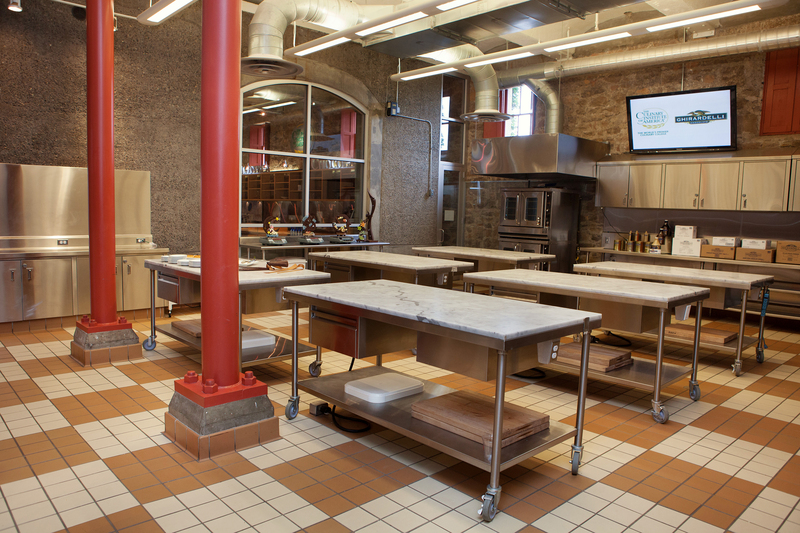 The Ghirardelli Chocolate Discovery Center is centrally located on the first floor of the main building, where campus visitors can see students at work through the show windows. Many items produced there will be available for purchase in the Spice Islands® Marketplace and Flavor Bar at the CIA at Greystone. The Ghirardelli Chocolate Company is a manufacturer and marketer of premium chocolate products. Incorporated in 1852 and in continuous operation since then, Ghirardelli has the richest heritage of any American chocolate company. Ghirardelli continues to honor its heritage to this day. Ghirardelli is one of the few companies in America that controls the entire chocolate manufacturing process, from cocoa bean to finished product. This control over the manufacturing process combined with Ghirardelli's proprietary bean blend and unique methods of roasting and processing, ensures that you are rewarded with the highest quality and richest products.